Average investors hold their equity mutual funds slightly over three years, which significantly hinders their long-term performance. This study found that there is a statistically significant difference between the investor returns of index annuities and the investor returns of equity mutual funds for six distinct time periods starting from 1997-2011 and ending with 2002-2011. Additionally, the risk-adjusted investor returns of index annuities outperformed the risk-adjusted investor returns of equity mutual funds for the same time frame. 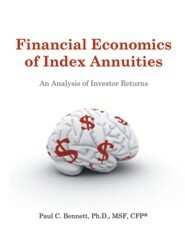 The aforementioned outperformance was termed the “Index Annuity Investor Return Spread” (IAIRS) by the study. Investor return is often not reported nor written about in the financial press, as the media tends to focus on investment return which is defined as the geometric rate of return of a buy-and-hold investment over the long term. Conversely, investor return is defined as the long-term dollar-weighted rate of return or Internal Rate of Return (IRR) over time. The IRR factors in the timing and amount of cash flows into and out of the portfolio of the average investor. Index annuities, through their downside protection, upside potential and temporally controlled contractual obligation, often mitigate the risk of investors being affected by counterproductive, self-sabotaging investor behavior, thereby resulting in positive IAIRSs. The study is distinct from previously published index annuity studies that have compared investment returns (often formula-driven hypotheticals) of index annuities to market indices or investment returns of equity mutual funds. The implication of these findings regarding investor returns of index annuities and equity mutual funds is that individuals on a global scale now have information regarding the ability of index annuities to be a valuable component in portfolio construction and diversification. Dr. Bennett is a Certified Financial Planner professional (CFP®), Chartered Financial Consultant (ChFC®), Accredited Investment Fiduciary (AIF®) and Managing Partner of c5 Wealth Management, LLC. He holds a Ph.D. in Financial Economics, with Distinction, from SMC University - Zurich, a M.S. in Finance, with Honors, from Indiana University, Kelley School of Business and a BA, with Honors, from the University of Florida. He has completed the Advest Institute's advanced program on behavioral finance and portfolio analytics at Harvard University. Dr. Bennett is a member of Beta Gamma Sigma Honor Society, the highest academic Honors recognition a business student anywhere in the world can receive in a graduate business program accredited by AACSB International. A native Washingtonian, Dr. Bennett has over twenty-four years of wealth management experience. He is an elected member of the Washington D.C. Estate Planning Council and a member of the Financial Planning Association. Dr. Bennett is the Vice President of the Rotary Club of Great Falls and currently serves on the Investment Committee for the Langley School. He previously was on the Board of Trustees for Capital Hospice as well as the Finance and Planned Giving Advisory Committees. He also was the past Chairman of the Investment Committee for Capital Hospice. Additionally, he has served on the Planned Giving Development Committee for INOVA Fairfax Hospital for Children. He and his business partner were recognized in 2009 by Boomer Market magazine as The Advisors of the Year. He was recently recognized by Washingtonian magazine as a Top Financial Advisor and Kiplinger's Personal Finance magazine, the Journal of Accountancy and the American Bar Association Journal recognized him as Who's Who of Virginia Certified Financial Planner™ professionals. He is a current contributor to the Guggenheim Investments Advisor Benchmarking Index and Boomerater.com. He is quoted often in the press, has been featured on CNNRadio.com and has contributed to various publications such as U.S. News and World Report, Advisor Today, Dow Jones News, Financial Advisor Magazine, Financial Planning Magazine, Investment News, The Washington Business Journal, The Washingtonian and The Washington Times. While writing his Ph.D. thesis about the fossil land snails of Bermuda, Gould and his fellow graduate student, Niles Eldredge, noticed appearances of relatively new fossil forms, followed by long periods in which these organisms changed little. This observation led to the theory of punctuated equilibrium, in which evolutionary change occurs relatively rapidly, alternating with longer periods of relative evolutionary stability, proposed by Gould and Eldredge in 1972. 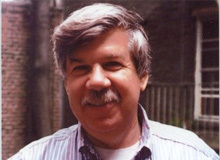 Gould is also known for his contributions to evolutionary developmental biology, popular science writing, and arguments against creationism.